November's Chat & Learn featured curriculum-aligned winter holiday resources from PBS LearningMedia with historical perspectives on familiar traditions. We also spotlighted engaging PBS KIDS content about snow, celebrations and friendship perfect for the younger set. Below is a sampling of what we viewed. Register for our next Chat & Learn today! Have you ever stopped to wonder why celebrate Thanksgiving in November or choose valentines in February? These familiar traditions have fascinating and sometimes surprising origins. 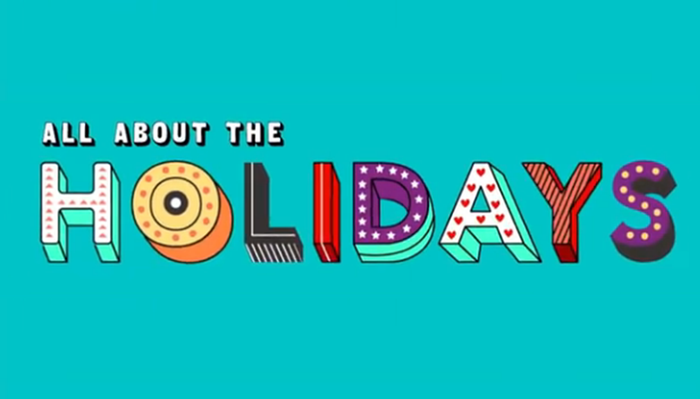 Get to know the history and significance behind these U.S. holidays (and more!) with this collection of resources. This collection includes clips from several favorite PBS KIDS programs, including Pet + Cat, Daniel Tiger's Neighborhood, and Dinosaur Train. Experience the Mayflower’s arrival in November 1620 and learn about the Pilgrims’ first winter, in this video adapted from AMERICAN EXPERIENCE: The Pilgrims. With passengers and crew weakened by the voyage and weeks exploring Cape Cod, the Mayflower anchored in Plymouth harbor in late December 1620. After ferrying supplies to land, the Pilgrims began building a common house for shelter and to store their goods. The weather worsened, and exposure and infections took their toll. By the spring of 1621, about half of the Mayflower’s passengers and crew had died. This is a scene from a holiday musical written by Billy Edd Wheeler and Ewel Cornett. In the play, photographer Lewis Hine uses his camera in a glass factory to help the children who work there. In this scene, the children sneak into the factory at night and encounter Hine, who explains what he is trying to do. The children sing “Pitiful.” This segment was taken from a performance by Stage One young people’s theater.